When many people think about natural disasters, their first thought is the devastating property damage that is extremely visible and highlighted by the media. However, the impact of natural disasters goes far beyond property damage and includes the impact to your workforce, your supply chain, and the operations of your business. There are two basic types of natural disasters—those with a warning and those without. 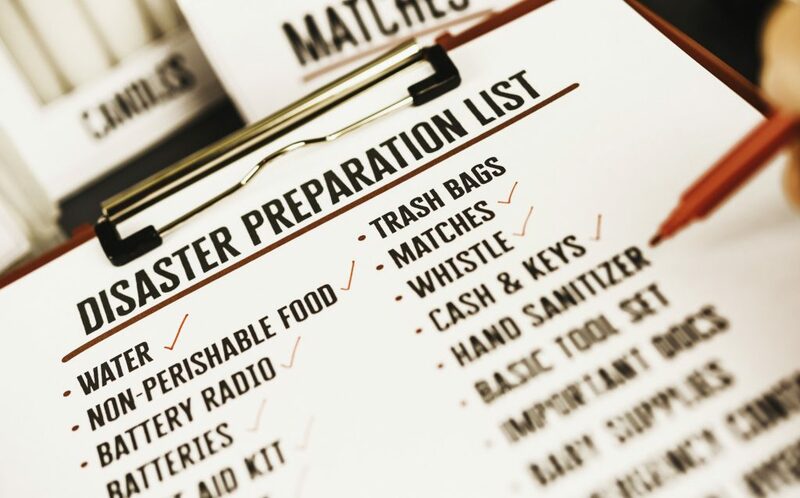 With hurricanes and flooding, you typically have some degree of warning that allows you to initiate disaster response protocols and to prepare in advance of the disaster. However, with events such as tornados, earthquakes, and other sudden events, there is no warning and no opportunity for advance preparation to minimize the impact and maximize the response. To be prepared if a disaster strikes, both types of disasters need a developed disaster response plan in advance. One of the first employer concerns has to be preventing and responding to employee injuries when a disaster occurs. At Home Depot, they work with vendors on a daily basis to identify any potential weather that could impact their stores. When there is a potential event, they pull together their response team that is led by a disaster captain. Their response team has functional members of all their critical business areas, including human resources, legal, supply chain, and business operations. These teams meet every year before the start of hurricane season to make sure everyone understands their role and the disaster response protocols. They also connect with state, local, and federal authorities to coordinate response efforts. Because Home Depot has a very important community role in disaster preparedness and response, it keeps stores open as long as possible and reopens them as soon as possible. From a workers compensation claim standpoint, there are many concerns. Employees can be injured during the disaster itself. There is also significant potential for injuries sustained by first responders and the National Guard during the response and recovery. In Texas, they deployed 14,000 National Guard troops in response to Hurricane Harvey, and those troops are all considered employees of the state of Texas when deployed. Traumatic physical injuries are not the only concerns. There are also occupational disease concerns because of the toxic chemicals that were in the floodwaters of Houston. Furthermore, there are concerns about posttraumatic stress. Because of the occupational disease exposure, there could be a very long claims tail from this natural disaster. Mitigating the risks and challenges of disasters takes extensive planning and practice. Every location and each facility are different and have varying needs. But, as Mr. Hinz explained, planning for emergencies can be the difference between staying in business and losing everything. There are several essential elements that should be included in any emergency preparedness plan. • Focus on prevention. If there is any way to prevent a disaster from happening, that is your best defense. The first step in the process is to assess your risk and the potential impact to see how you can be more effective in disaster planning. Once you know the type of disasters for which you are most at risk, take steps to minimize potential damage to your facility and harm to your employees. Think of the actions you might need to take and what you would need in the event of a fire, flood, severe storm, or other disaster. • Evacuation plan. Every facility should have primary and secondary routes and exits that are well lit, marked, and easily accessible. There should be an outside area designated as a meeting place for employees to gather once they are out of the building. Staff members that may require assistance during an evacuation due to physical limitations should be noted in the plan. • Communication. In addition to emergency contact information for local police, fire, and ambulance phone numbers, you should have a contact list that also includes information for your customers, suppliers, and distributors. This list should be updated continually, and copies should be kept both in your files and in off-site locations so that you will be able to access them regardless of the situation. You may want to preset conference call numbers in case they are needed. Be sure that you have a way to contact key players in and outside the organization. • Protect data. It is vital company information and critical data and programs that are imperative to keep your operation running. Make sure that these things are backed up and that the backup is kept in a location separate from the primary facility. • Understand your insurance coverage. Review your insurance policies with your agent or broker so that you know your deductibles and how they are applied to your coverages. You should know the limits and nature of your insurance, including coverage specifics. You may want to make changes to some policies, as all coverages are subject to limits and exclusions. • Keep insurance information handy. The names and numbers of your insurance representatives should be kept in a safe and accessible place, as this will expedite the claims process when the time comes. • Plan for contingencies. Despite your best efforts, your preparation may not be enough. Have an off-site location or allow personnel to work from home, if necessary, to keep the business running.